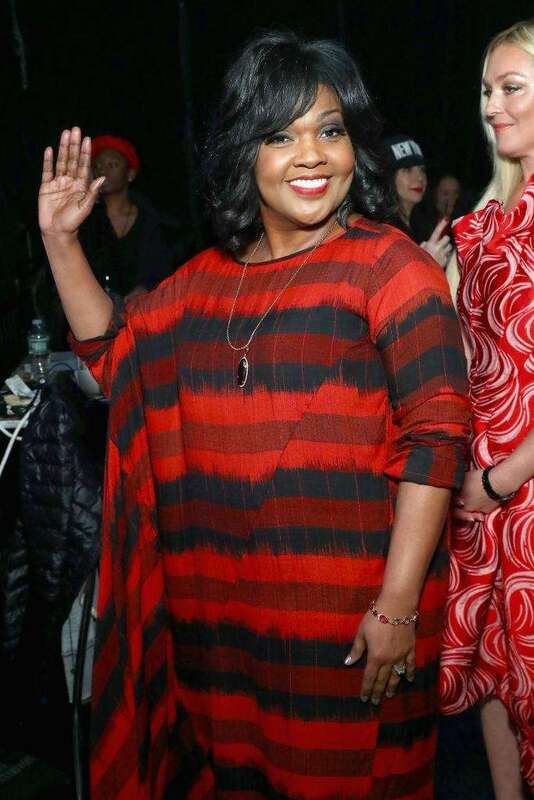 Long Island natives Melissa Joan Hart ("Sabrina the Teenage Witch) and Tatyana Ali ("The Fresh Prince of Bel-Air"), plus "The Real" host Adrienne Bailon Houghton and "The Bachelorette" Rachel Lindsay: See photos of all the stars who walked the runway in red for the American Heart Association's Go Red For Women Red Dress Collection 2018 presented by Macy's at Hammerstein Ballroom on Feb. 8, 2018, in Manhattan. Celebrity models strike a pose before walking the runway. Zuri Hall ("E! News") walks the runway in Catherine Regehr. TV personality Zuri Hall prepares backstage. 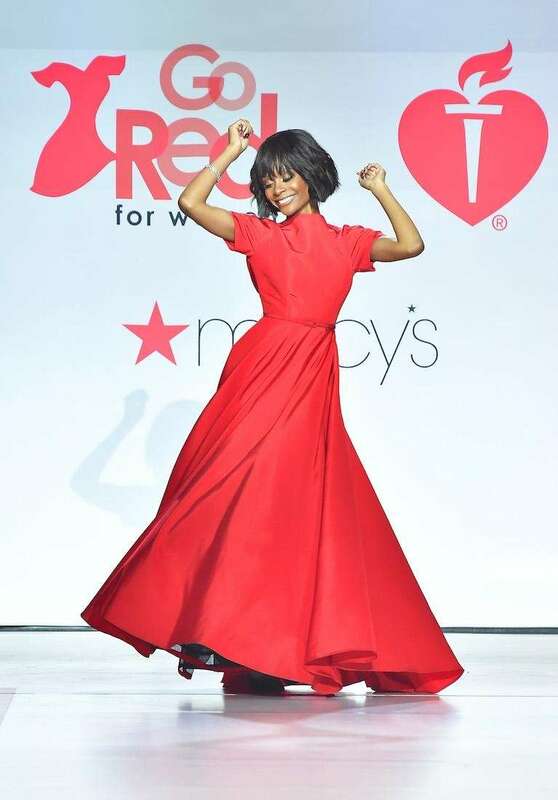 Actress Tatyana Ali, originally from North Bellmore and of "The Fresh Prince of Bel-Air" fame, walks the runway in an ensemble designed by Macy's incubator Taneasha Prunty. 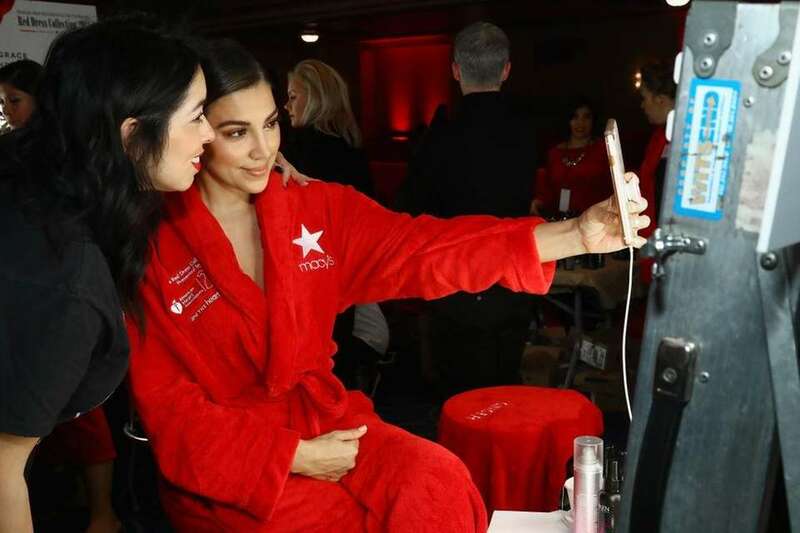 "I'm going red to empower women and take on prevention," she told us backstage. 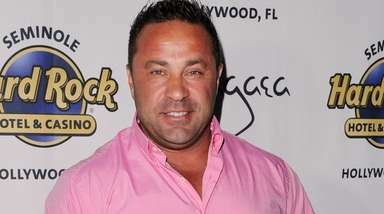 "I'm lucky, I haven't had heart disease in my family." Actress Tatyana Ali appears backstage. "The Bachelorette" Rachel Lindsay walks the red carpet in a Pamella Roland gown, which she described to us backstage as "gorgeous and fitted at the top. It's [made of] chiffon, and it's to the floor, but very flowy. I hope to give the illusion that I am floating across the stage because my walk won't be that great." The reality TV star, who says "life is kind of going back to normal" post-show, reveals she's back at work as an attorney and also working on two podcasts. Lindsay decided to "Go Red" for her grandmother. "The Bachelorette" star Rachel Lindsay prepares backstage. Model Niki Taylor walks the runway in Badgley Mischka. Model Niki Taylor has makeup and hair done backstage. 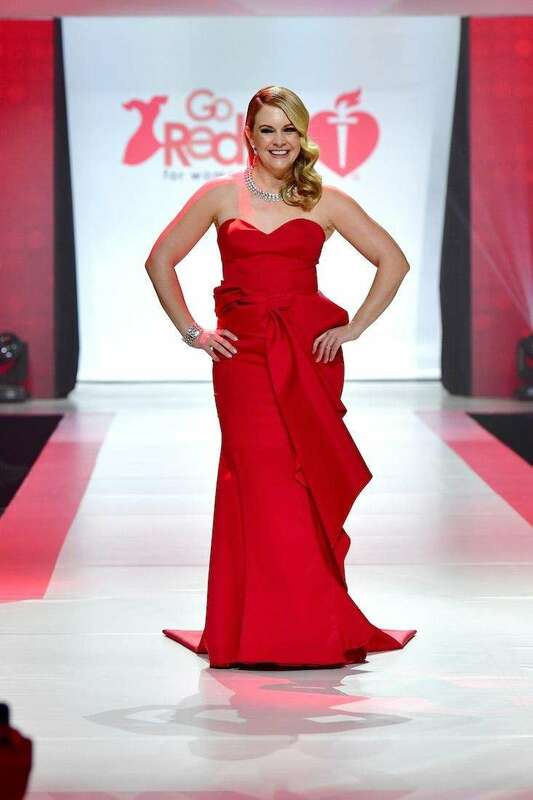 Actress and Long Island native, Melissa Joan Hart, of "Sabrina the Teenage Witch" fame, walks the runway in John Paul Ataker. Actor Melissa Joan Hart poses backstage. 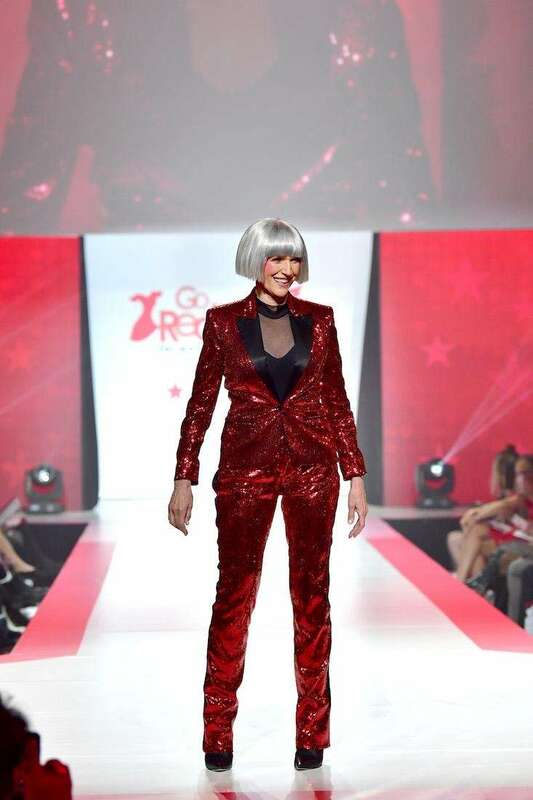 Model and dietitian Maye Musk walks the runway in Redemption. Model Maye Musk poses backstage. 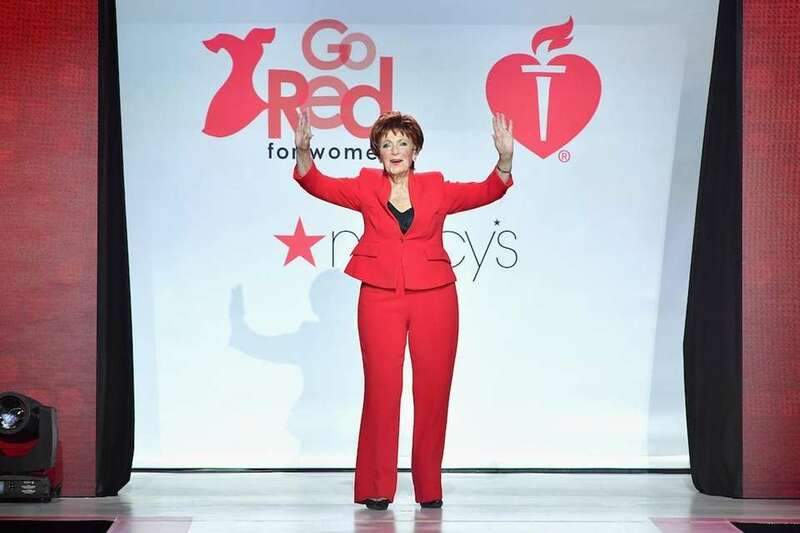 Actress Marion Ross of "Happy Days" walks the runway in Karen Millen. 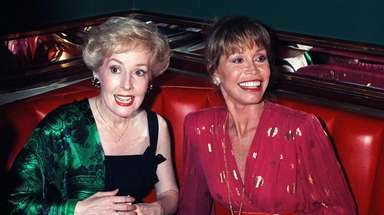 Actress Marion Ross poses with show wardrobe backstage. 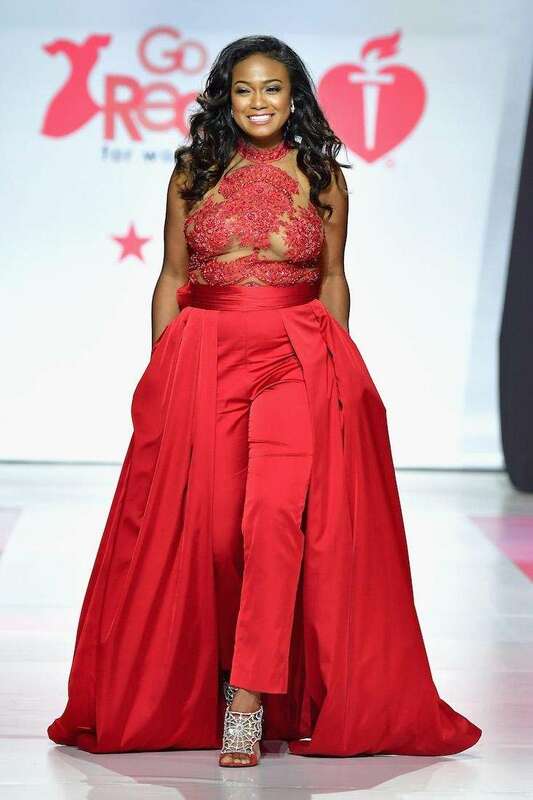 "Greenleaf" star Lynn Whitfield walks the runway in Terani Couture. Actress Lynn Whitfield, left, poses backstage with American Heart Association national spokeswoman Lilly Rocha. Liz Hernandez of "Access Hollywood" and "E! 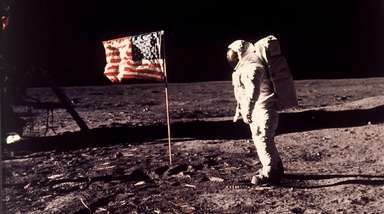 News" walks the runway. 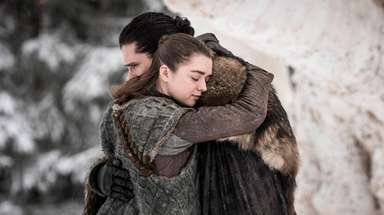 Actress Liz Hernandez takes a photo with a guest backstage. Supermodel-turned-mogul Kathy Ireland walks the runway in Marc Bouwer. Model Kathy Ireland prepares backstage. Actress Kate Walsh of "Grey's Anatomy" and "Private Practice" walks the runway in Rubin Singer. Actress Kate Walsh poses backstage. TV and YouTube personality Grace Helbig walks the runway in Sachin & Babi. TV and YouTube personality Grace Helbig poses backstage. 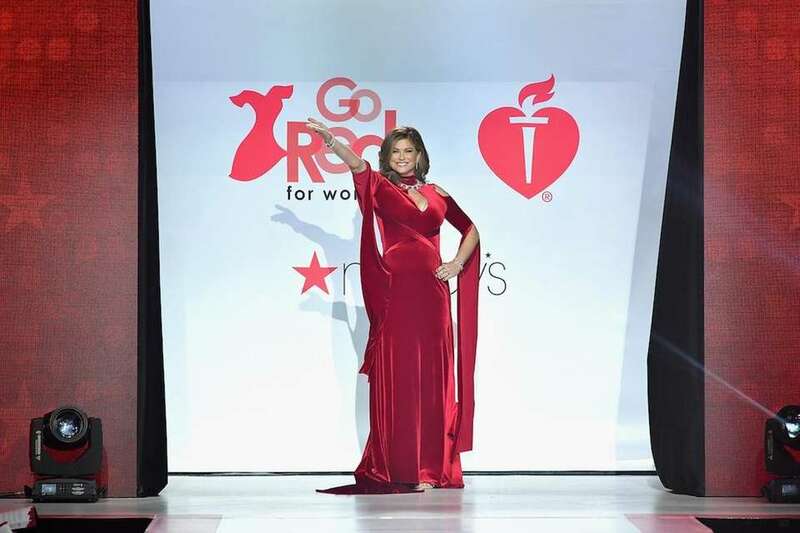 ABC News meteorologist Ginger Zee walks the runway in Macy's incubator Lia Larrea's design. 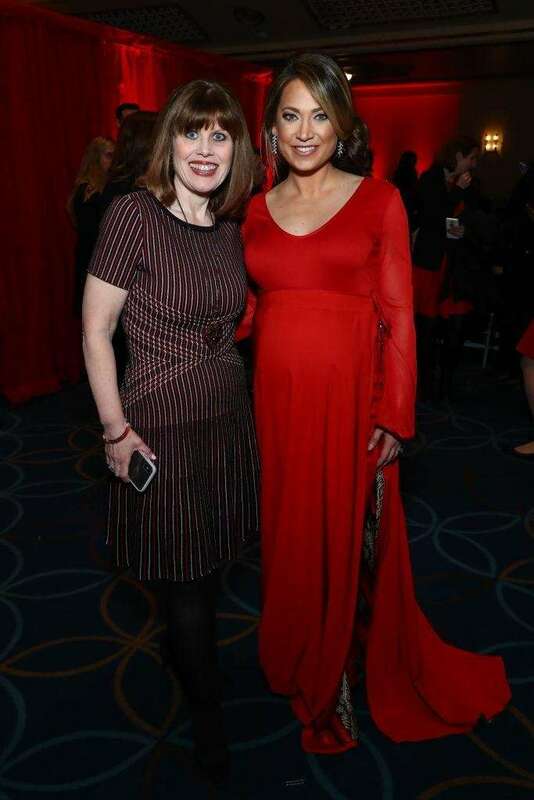 ABC News meteorologist Ginger Zee, right, poses backstage with Nancy Brown, CEO of the American Heart Association. 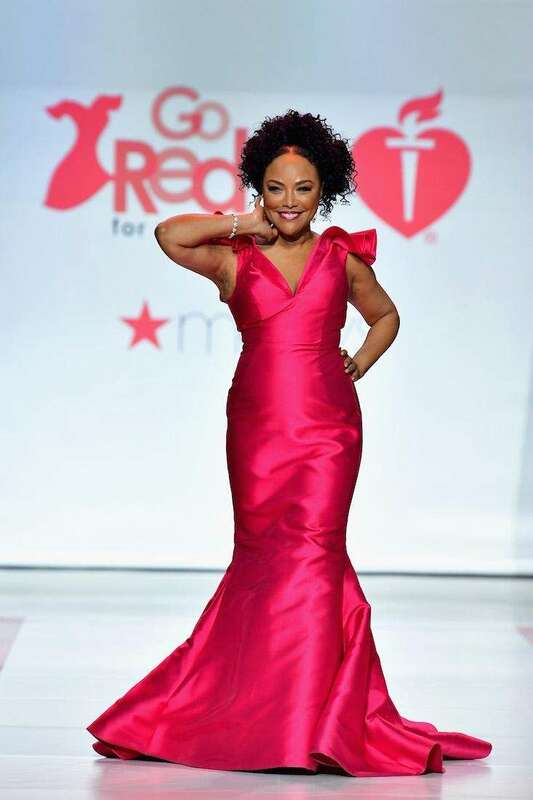 Actress Elisabeth Rohm ("Law and Order") walks the runway in Macy's Incubator Najla Burt's design. Actress Elisabeth Rohm poses backstage. 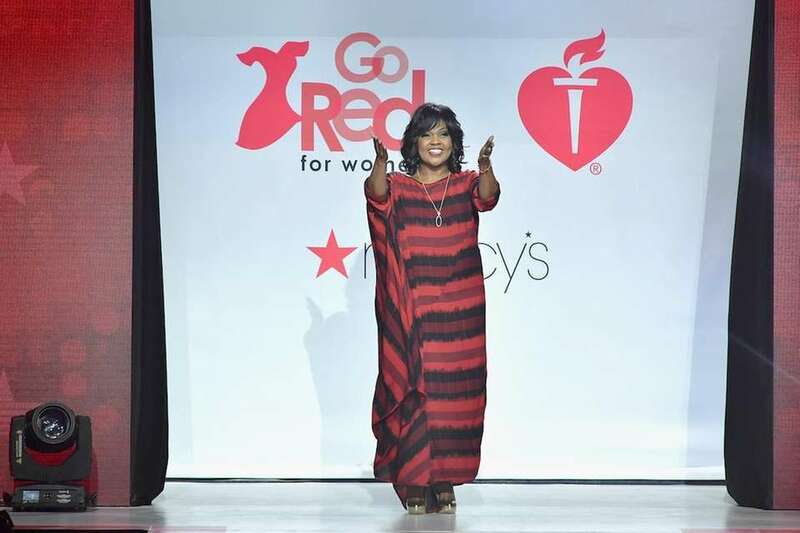 Grammy award-winning gospel singer CeCe Winans walks the runway in Fame and Partners. Singer CeCe Winans prepares backstage. "The Real" host Adrienne Bailon Houghton walks the runway in Nicole Bakti. Actress and TV personality Adrienne Bailon Houghton prepares backstage. 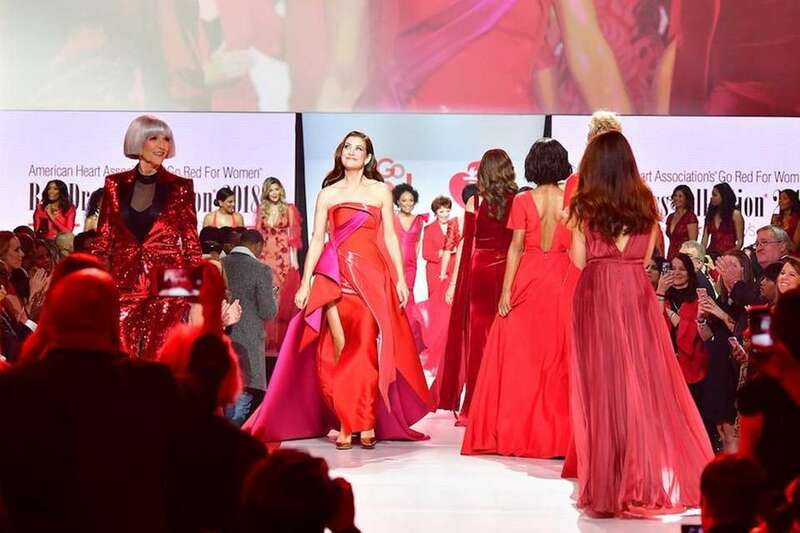 Host and actress ("My Cousin Vinny," "The Handmaid's Tale") Marisa Tomei walks the runway. Actress Marisa Tomei appears on the red carpet ahead of the show. 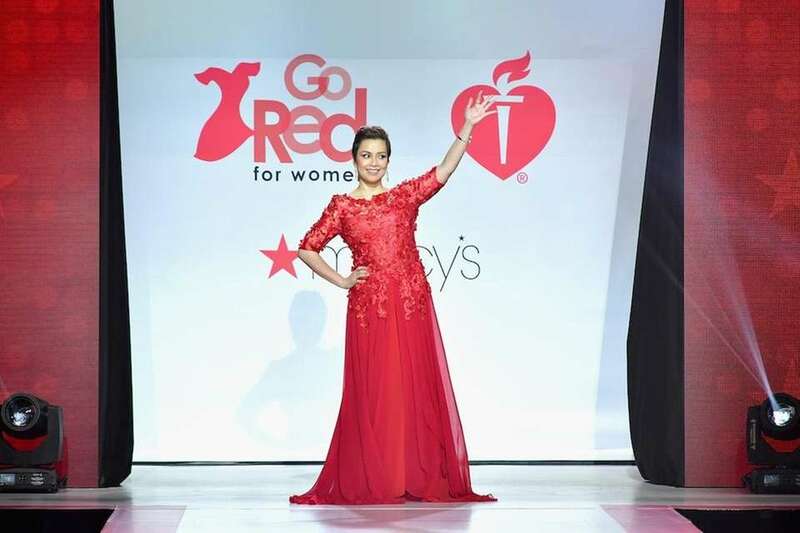 Lea Salonga of "Miss Saigon" and "Les Misérables" walks the runway in Oliver Tolentino. Recording artist Lea Salonga prepares backstage. 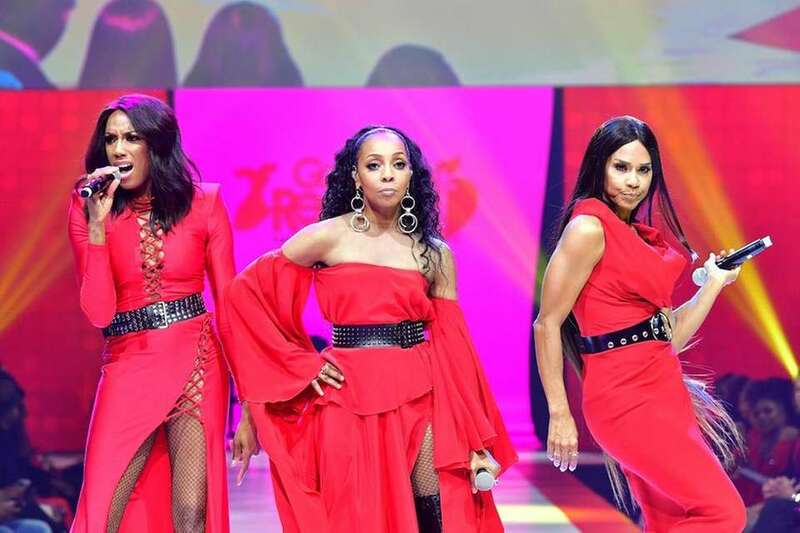 Cindy Herron-Braggs, Terry Ellis and Rhona Bennett of En Vogue perform "My Lovin' (You're Never Gonna Get It)," "Hold On" and "Free Your Mind." 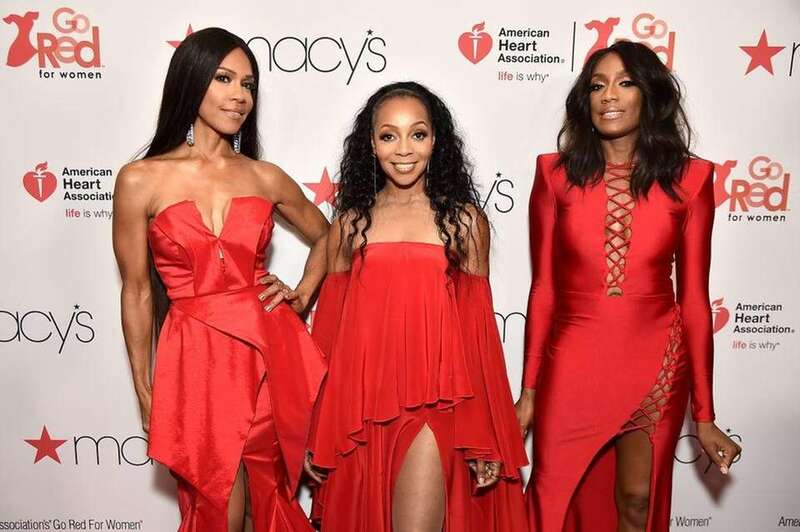 Cindy Herron-Braggs, left, Terry Ellis and Rhona Bennett of En Vogue appear on the red carpet before the show. Celebrity models take the stage before the show is over. Celebrity models wrap up Day One of New York Fashion Week. 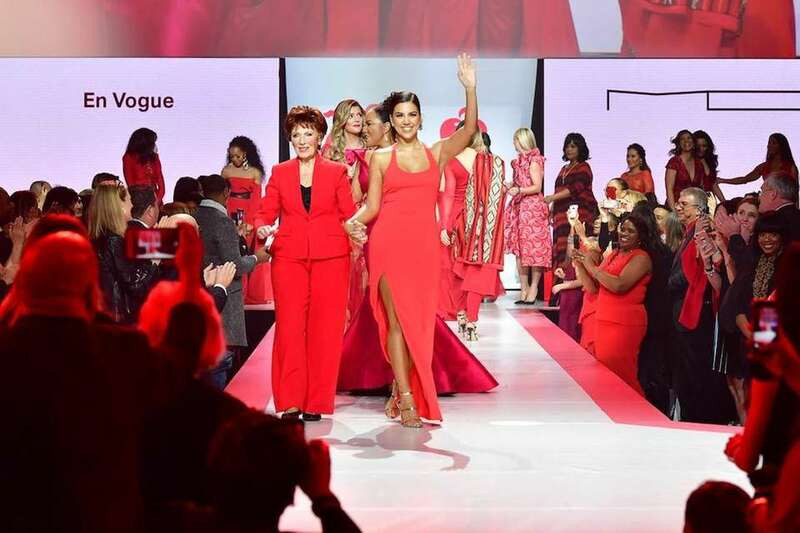 LI native walks Go Red for Women fashion showThe Long Island native is best-known for her role as Ashley Banks on "The Fresh Prince of Bel-Air."